• Sauna, Fitness centre, Spa and wellness centre, Massage room, Hot tub, Hammam, Indoor Pool (all year), Bicycle rental. • Hotel Cathedral Square is located in the Old Town, at the Cathedral Square, in front of the Gediminas Tower. • 1900s: Hotel Cathedral Square was built. 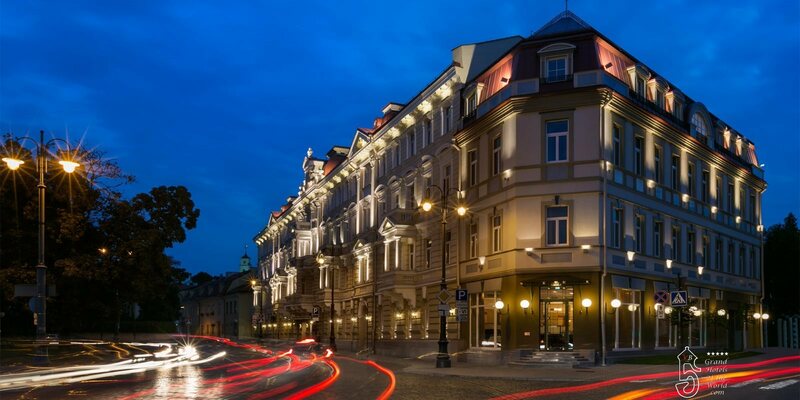 • 2012 September: With his opening, Kempinski Hotel Cathedral Square Vilnius marked a debut of the Kempinski luxury brand in the Baltic countries.